I’ve finally compiled my photos from this year’s Epcot Food & Wine festival and am ready to share the good, the pretty good, and the not so good. Luckily there is more good than not to share. So I figured the best way to tackle this recap would be to go booth by booth, starting with #1, the vegan Terra booth! 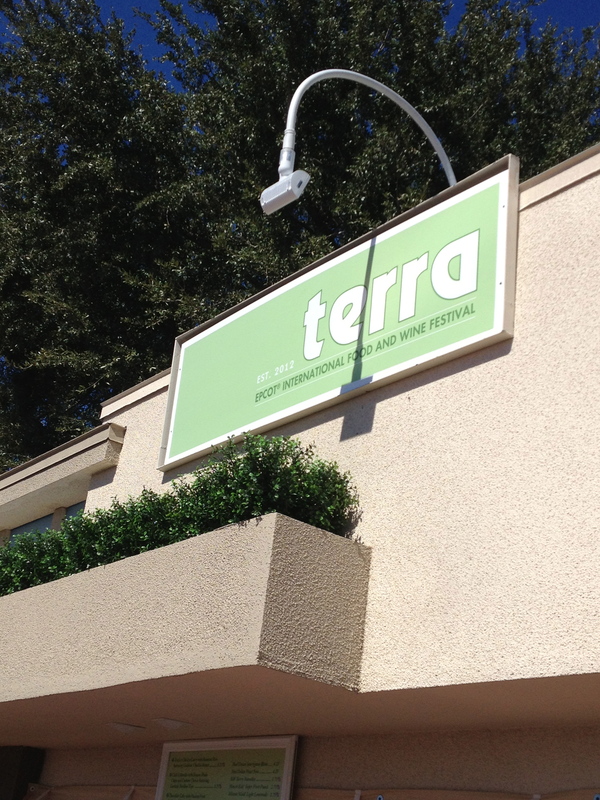 Terra was new to Epcot Food & Wine in 2012, and I loved it so much I dreamed about it all year. It was a perfect place to start. First up, Trick’n Chick’n Curry with Basmati Rice featuring Gardein(tm) Chick’n Breast. We tend to like anything with the word “curry” and this is no exception. I enjoyed this more this year than last. So much depends on whether the “chick’n” is cooked properly. 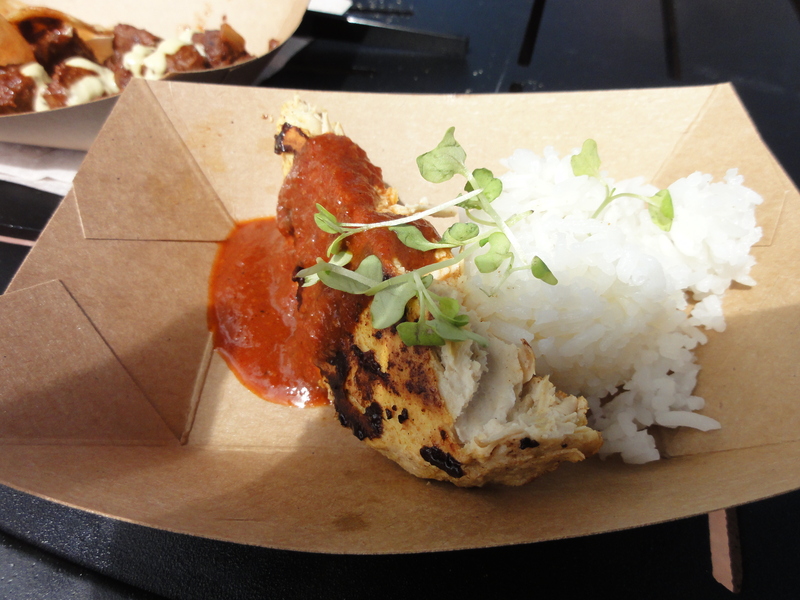 This one was not overcooked or dry – absolutely delicious, with a tomato-y flavorful curry sauce and very nice rice. Husband and kid really enjoyed it. 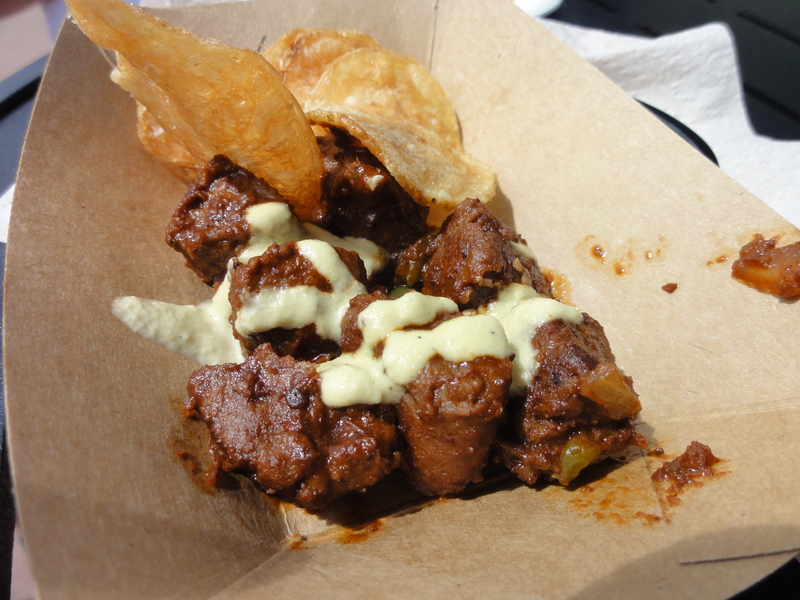 And of course, we had to have my favorite dish from last year’s Food & Wine fest, the Chili Colorado with House-made Chips & Cashew Cheese featuring Gardein(tm) Beefless Tips. Yes folks, this is vegan beef, and it is delicious. Once again, this dish did not disappoint. the “beef” is soft and meaty, the onions and peppers are soft and homey, the sauce is somewhat sweet, savory, spicy…everything you would want it to be. The cashew cheese is a tiny bit grainy, but if you think of it as ground cashew sauce then that’s not bothersome. It ads a really nice creaminess to the dish. My 12 year old daughter kept asking to go back for seconds. And finally, we tried the Chocolate Cake with Coconut Mousse and Passion Fruit Sauce. Not my favorite – chocolatey, but also vegan-y. This was not great. I suppose if you’re vegan and have a hard time finding good desserts, it would be OK. (Though you’re probably better off heading to BabyCakes anyway.) The chocolate part was very dense and sort of brownie-like. I didn’t hate it. And the passionfruit sauce had a nice tang. I really didn’t think the coconut mousse worked. It didn’t have a mousse texture – it was also quite dense, and far too oily. More like cooked-down full-fat coconut milk. My kid liked it, though. Drinks available were a Napa Smith Organic IPA, a Chardonnay and Red Blend from The Vegan Vine, and Fresh Watermelon Juice. The juice looked really good, and I wish I’d ordered it. They were juicing the watermelon fresh at the stand. 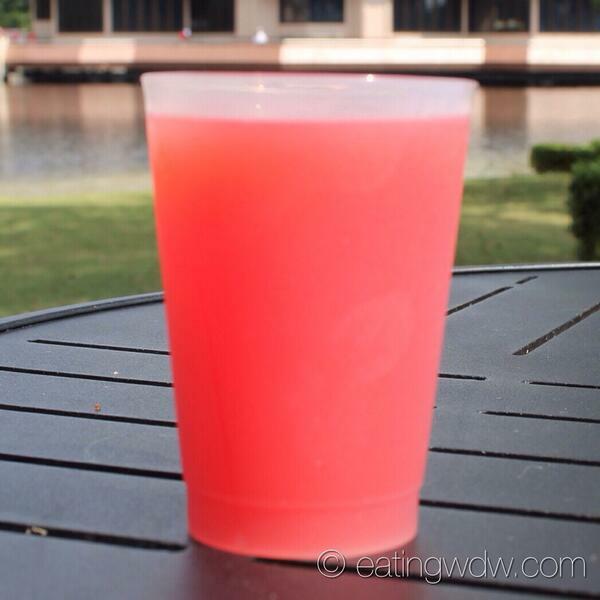 Thanks to our twitter friend Sarah @eatingwdw for providing a pic of the watermelon juice. She says it’s OK but could use some vodka. 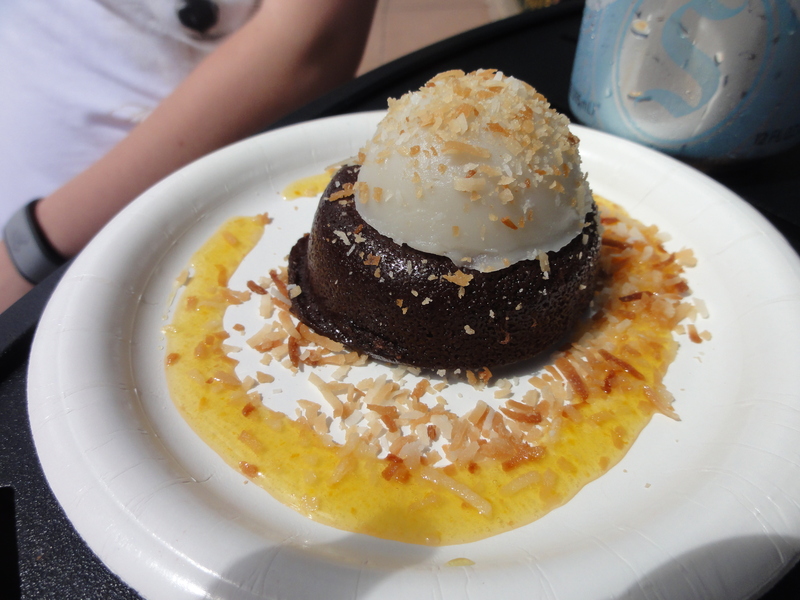 She’s also blogging about Epcot Food and Wine – check out her excellent blog! Refreshing and fresh-squeezed. I’d add tequila blanco and some salt.